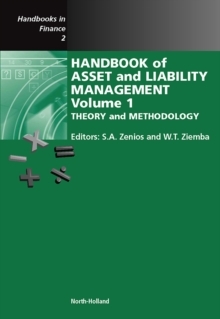 This first volume of the Handbook of Asset and Liability Management presents the theories and methods supporting models that align a firm's operations and tactics with its uncertain environment. Detailing the symbiosis between optimization tools and financial decision-making, its original articles cover term and volatility structures, interest rates, risk-return analysis, dynamic asset allocation strategies in discrete and continuous time, the use of stochastic programming models, bond portfolio management, and the Kelly capital growth theory and practice. They effectively set the scene for Volume Two by showing how the management of risky assets and uncertain liabilities within an integrated, coherent framework remains the core problem for both financial institutions and other business enterprises as well.